Dog cataracts are a common cause of blindness in dogs. You’ll recognize them without realizing it — those dogs have milky white pupils instead of black. Can a dog live with cataracts? Of course, if your dog has a cloudy eye, see the vet right away. Cataracts are one of many dog eye problems, and your dog’s eyesight could depend on getting the right treatment promptly. 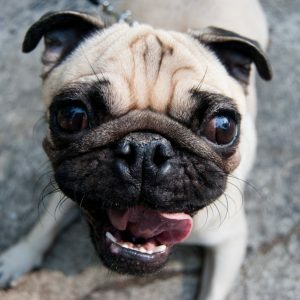 What Is a Dog Cataract? Dog cataracts affect the lens within the eye, causing it to become cloudy. The lens sits just behind the iris, and its job is to focus light onto the retina. The lens is made up of lots of clear cells, all neatly lined up so light passes through cleanly. A cataract forms when the proteins forming the cells stick to one another. Instead of light passing straight through, it’s blocked, as if passing through a dirty window. Cataracts in dogs can occur in both the young and old. In pups, this is often a genetic problem where they inherit genes coding for the development of juvenile cataracts. 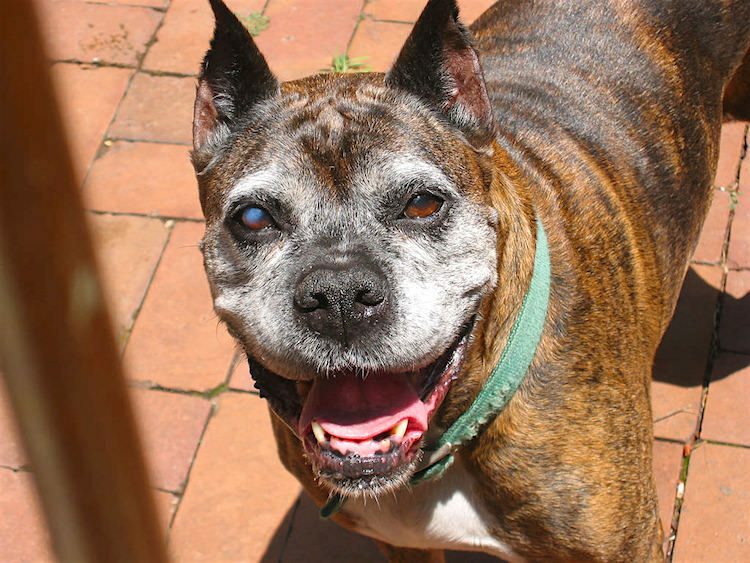 In older dogs, cataracts arise due to age, wear and tear, or because of health problems, such as diabetes. If your dog has cataracts, is blindness inevitable? Or are there effective treatments out there? Control any underlying health problems. Consider cataract surgery as the gold standard. Eye drops — but do they work? Dog eye problems driven by health issues, such as diabetes, require control of that condition. While stabilizing diabetes won’t make an existing cataract go away, it will slow deterioration. The gold standard for treating dog cataracts is surgery. This is a sophisticated technique called phacoemulsification. However, this is costly, which can force concerned clients to seek out other options, such as eye drops. Sadly, there’s no non-surgical treatment that’s scientifically proven to work. However, anyone doing a quick internet search can find what look superficially to be promising options. But what is the truth? Do Cataract Eye Drops for Dogs Work? Surgery is expensive and not without risk. If the cost is prohibitive, are there options for dog cataracts treatment without surgery? Let’s look at those options that are creating quite a buzz on the internet. Lanosterol works by reducing the protein aggregation (protein sticking-together) within the lens. It’s this jumble of proteins that causes the cloudiness. The exact mechanism by which lanosterol detangles these sticky proteins is not yet known. So far so good — so why aren’t vets recommending it right away? First, there’s little research into lanosterol in live animals (rather than lenses in Petri dishes). Most research has been conducted on lenses in dishes soaking in lanosterol solution. This is very different to a real eye, where drops must travel through the cornea and anterior chamber to enter the lens capsule. There are big question marks over how effective lanosterol is as an eye drop. Initial work suggests it just doesn’t get to where it’s needed and is therefore a waste of money. The answer seems to be injecting lanosterol directly into the eye. Ouch — but arguably better than surgery. Work is ongoing to find better delivery systems. One commercial company, Lanomax, claims to have made a breakthrough.2 It developed a nanotechnology product — Thru Delivery — that solves the problem of getting the lanosterol where it’s needed without injection. I have no personal experience of the use of lanosterol in animals. A search of PubMed shows encouraging papers that indicate it may help.3 What does seem to be important is using the real deal rather than imitations that lack the Thru Delivery system. So what about similar products, such as LumenPro, widely available on Amazon? Do they work? The makers of Lanomax say a firm no, pointing out these products lack the delivery system necessary to get it into the lens. In theory, these products need to be injected into the lens, and the drop system just doesn’t work. Indeed, read the LumenPro blurb carefully, and the wording doesn’t claim to clear cataracts. It uses phrases such “support for pets suffering from cataracts” and “cataract fighting power” to help dog eye problems rather than clear claims to dissolve cataracts. The guarantees are for “comfort” and “happiness” rather than clear eyes. So while such products seem appealing, I can’t recommend them. Not enough is known about their safety. Indeed, a conflicting study seemed to show lanosterol made cataracts worse — not better.4 So think carefully before jumping onto this band wagon. Marketed as Can-C, this is another readily available product. But does it work? The theory is that NAC is a powerful antioxidant that reduces the cross-linking of proteins that cause cataracts. One human study5 seemed to back this up. But the study isn’t without critics who point out flaws in the way the research was conducted. Attempts to repeat the results have failed. In short, there is no validated scientific evidence that NAC works. But for the desperate person who can’t afford surgery for their pet, there may be little to lose by giving it a go (at their own risk). Ocu-Glow is marketed as a vision supplement taken by mouth and is often recommended by veterinary ophthalmologists. Ocu-Glow is best thought of as a nutraceutical for eye health. It is to eyes what Yumove (chondroitin and glucosamine) is to joints. It contains antioxidants that promote good ocular health but in itself isn’t a cure for cataracts. The bottom line here is Ocu-Glow is ideal for dog eye problems because it helps keep eyes at their best, but it doesn’t claim to clear cataracts in dogs. The gold standard to restore vision is dog cataract surgery. This is a procedure called phacoemulsification. This is surgery on a tiny scale and very much a specialist procedure. Placing a special probe directly into the lens (through a small incision in the cornea). High-frequency ultrasound waves then break down the lens. The fragments are flushed out and sucked up through the probe. 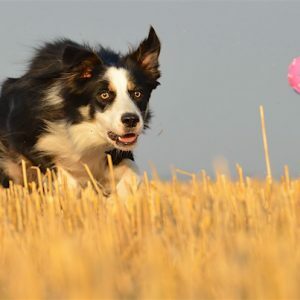 A replacement lens is implanted to give the dog the best vision possible. This surgery is most successful on early-stage cataracts. A well-established, or “mature,” cataract can be too brittle to be successfully broken down. Another problem is that a general anesthetic is needed. In the hands of a skilled operator, each eye takes around 45 minutes, which may be all too much for an elderly or infirm dog to cope with. Also, there can be post-operative complications. These complications can be serious and include infection, uveitis (inflammation within the eye) or glaucoma (increased pressure within the eye). 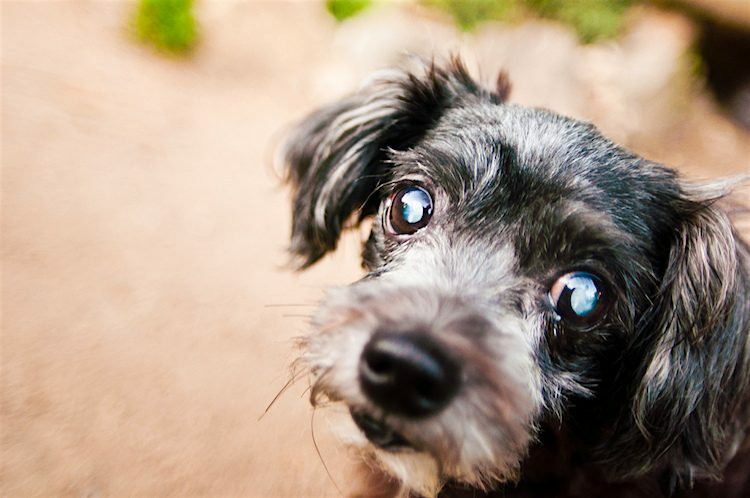 Does your dog have cataracts? In a good light, look into your dog’s eyes. Look beyond the clear, shiny surface (cornea) and focus behind the iris (the colored part of the eye), which is where the lens sits. A healthy lens is clear, so you don’t see much. An abnormal lens is cloudy, so you’ll see a white, pale blue or milky-looking surface behind the iris. Take a flash photo of your dog’s face. It’s normal to get the “red eye” phenomenon. However, a cataract blocks light from hitting the retina, so red eye can’t happen. If the photos repeatedly show a milky-looking eye instead of a red one, then be suspicious of cataracts. Cloudy Eyes in Dogs: Is It Always a Cataract? Be aware that cloudy eyes in dogs can have causes other than cataracts. Sometimes, it’s the cornea (the front “window”) that’s cloudy and not the lens. This is why you should visit the vet — an eye ulcer or even glaucoma can cause this sort of bluing. Even if you correctly spot a misty lens, this isn’t always a cataract. Another condition has a similar appearance when looking with the naked eye, the difference being that this condition is just old-age change and doesn’t interfere with vision. Your vet can tell the two apart by using an ophthalmoscope. If they can see through the lens to the retina behind, then it’s just old-age change rather than a true cataract. 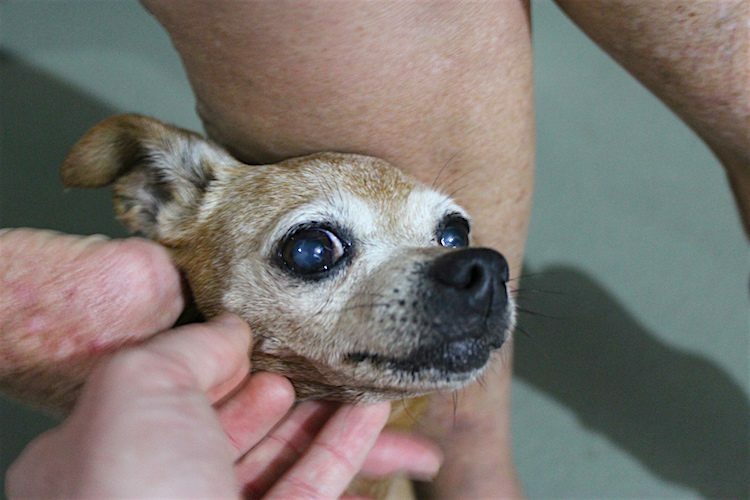 Most cataracts in dogs aren’t painful but more of a nuisance. Much like wearing dark sunglasses indoors at night with the lights off, no light reaches the retina. The denser the cataract, the less light gets through, until the dog eventually goes blind. It then becomes a question of how well blind dogs cope with life — which is “very well indeed,” in fact. However, there are some circumstances when dog cataracts do cause problems. A mature (aged) cataract is brittle. They can sometimes break free and float within the eye, or else burst, releasing protein. Both these scenarios cause complications, such as glaucoma or uveitis, which are painful. In an ideal world, the cataract should be treated before it becomes this stiff. Whatever option you choose, start preparing your dog for loss of vision. Smooth the way by placing sensory cues in the house so the dog learns where they are by feel, sound and smell, not just by vision. Different textured rugs on the threshold of each room (the dog links the texture to each specific place). Different scented potpourri in each room. A wind chime by the back door (to help the dog locate it). Radios tuned to different stations (talk, music, country) in different rooms. 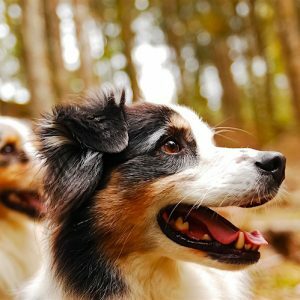 Hopefully, you can save your dog’s vision. But if not, they’ll feel safe and secure navigating around the home and still have excellent quality of life. Cataracts are no reason for the fun to stop. Zhao, Ling et al. “Lanosterol Reverses Protein Aggregation in Cataracts.” Nature 523 (July 30, 2015): 607–611. https://www.nature.com/articles/nature14650. Shen, X. et al. “Lanosterol Synthase Pathway Alleviates Lens Opacity in Age-Related Cortical Cataract.” Journal of Ophthalmology (July 11, 2018). https://www.ncbi.nlm.nih.gov/pubmed/30116630. Kaur, Simerdip. “The Truth Behind the Headlines.” Eye News 24, no. 6 (April/May 2018). https://www.eyenews.uk.com/education/the-truth-behind-the-headlines/post/the-truth-behind-the-headlines-aprmay-2018. Babizhayev, M.A. et al. “Efficacy of N-Acetylcarnosine in the Treatment of Cataracts.” Drugs in R&D 3, no. 2 (2002): 87–103. This pet health content was written by a veterinarian, Dr. Pippa Elliott, BVMS, MRCVS. It was last reviewed Feb. 26, 2019.